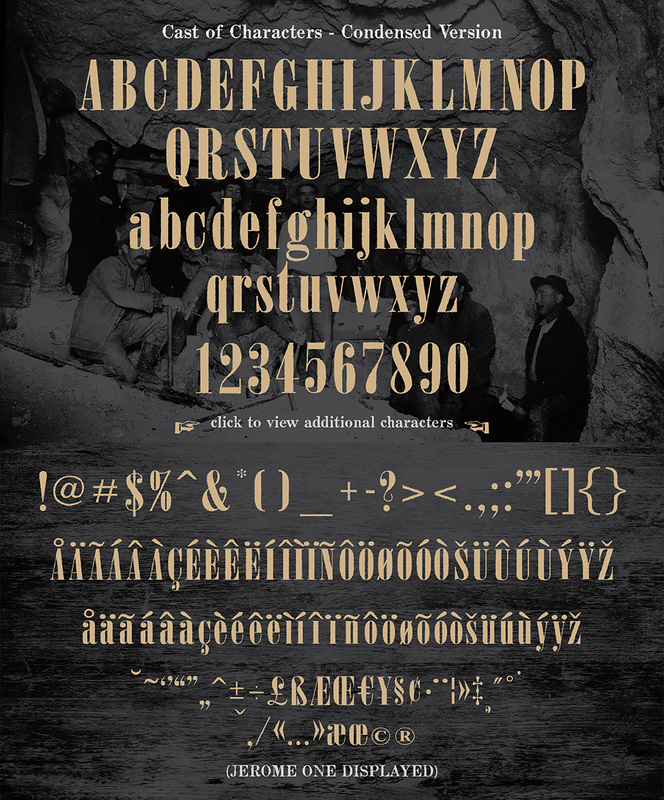 This font family release is inspired by the semi-abandoned mining town of Jerome, Arizona. It is reminiscent of the classic condensed and wide-serif headlines you might find in the newspapers or painted on storefront signs from that era. Brief History: Nestled high on top of Cleopatra Hill (5,200 feet) in the Black Hills of Yavapai county between Prescott and Flagstaff is the historic copper mining town of Jerome, Arizona. Jerome was a copper mining camp, growing from a settlement of tents to a roaring mining community. Four disastrous fires destroyed large sections of the town during its early history, resulting in the incorporation of the City of Jerome in 1899. 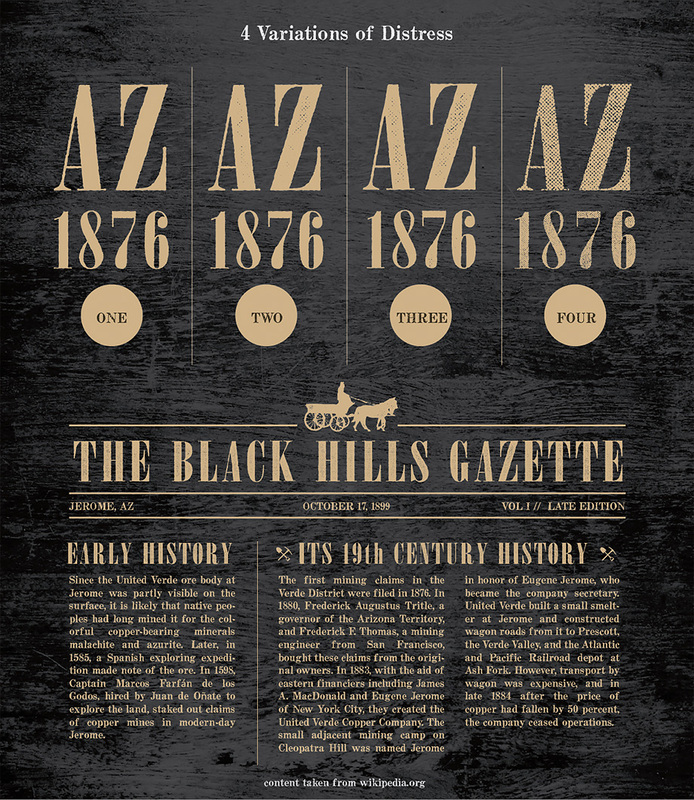 Founded in 1876, Jerome was once the fourth largest city in the Arizona Territory. It sits above what was the largest copper mine in Arizona and produced an astonishing 3 million pounds of copper per month. The population peaked at 15,000 in the 1920’s. The Depression of the 1930’s slowed the mining operation and the claim went to Phelps Dodge, who holds the claim today. Today the mines are silent, and Jerome has become the largest ghost town in America and is a thriving tourist and artist community with a population of about 450. 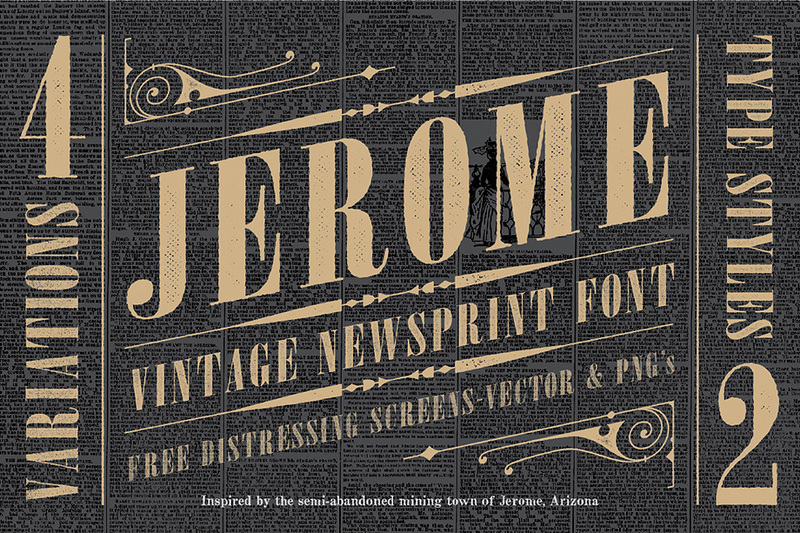 JEROME ONE (which has a rough, hand-drawn outline) and JEROME TWO-FOUR (which has the same rough, hand-drawn outline as well as varying degrees of distressed halftone) are supplied in both .OTF and .TTF versions. Each font has upper and lower case as well as numbers and special characters. This family supports multi-lingual so If I have missed anything please let me know. A set of matching wide versions of each style is also included. 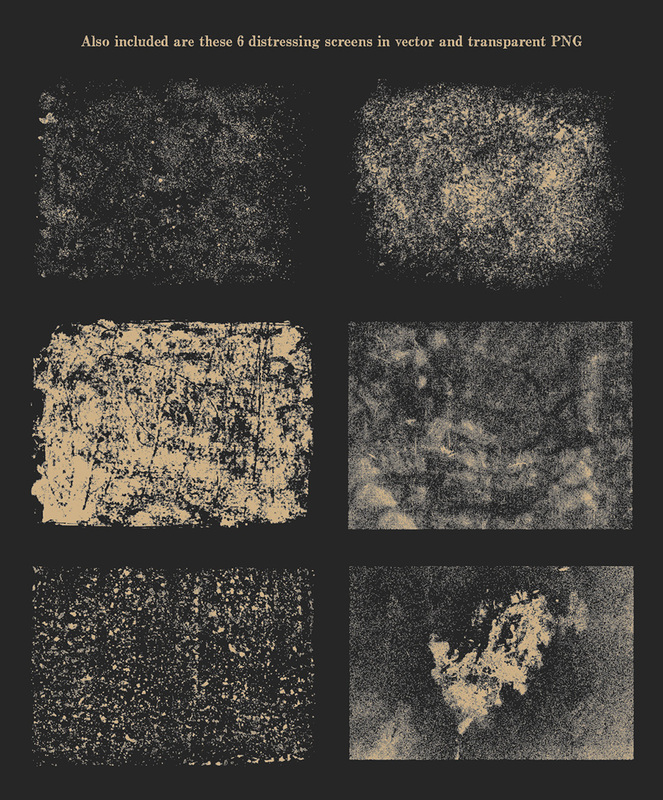 All version have built in imperfections that will display differently at different point sizes. The letter spacing is intentionally loose to give it that old-time look and feel. SPECIAL: We are offering this font at 40% off through the end of October 2015!